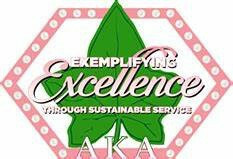 Alpha Kappa Alpha Sorority will expand its community presence as a result of these initiatives, which include International Community Impact Days and our signature project, #CAP ℠ which is short for College Admission Process. Alpha Kappa Alpha will assist students as they seek admission to college by providing guidance and support in completing the application and enrollment process through the 2018-2022 Signature Program, #CAP ℠ . #CAP ℠ is a step-by-step approach to facilitate college admission from researching various institutions and submitting applications through completion of the enrollment process. Chapters will assist students in completing college applications, preparing for the ACT and SAT, writing compelling personal statements, identifying scholarships and other financial aid, and compiling a portfolio to track college admission results. Through #CAPSM, Alpha Kappa Alpha will improve the trajectory of the lives of talented young people by increasing their potential for success and laying the foundation for positive, productive, and fulfilling lives.